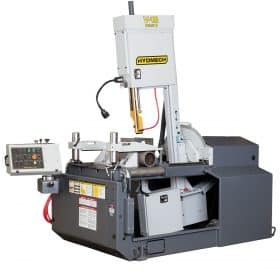 The V-25APC is an automatic vertical band saw with the ability to miter from 60° left to 60° right. 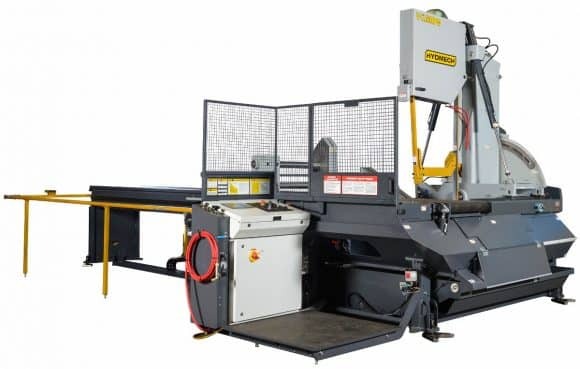 A 3 HP hydraulic pump supplies system pressure through two and three position directional valves controlling all vises, head swing, head advance/retract, blade tension, and guide arm movement. 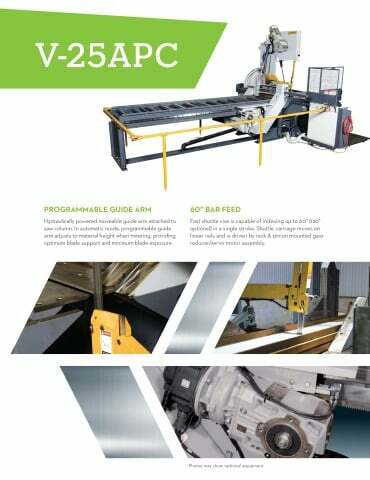 The V-25APC allows for easy adjustment of both head feed rate and cutting pressure. 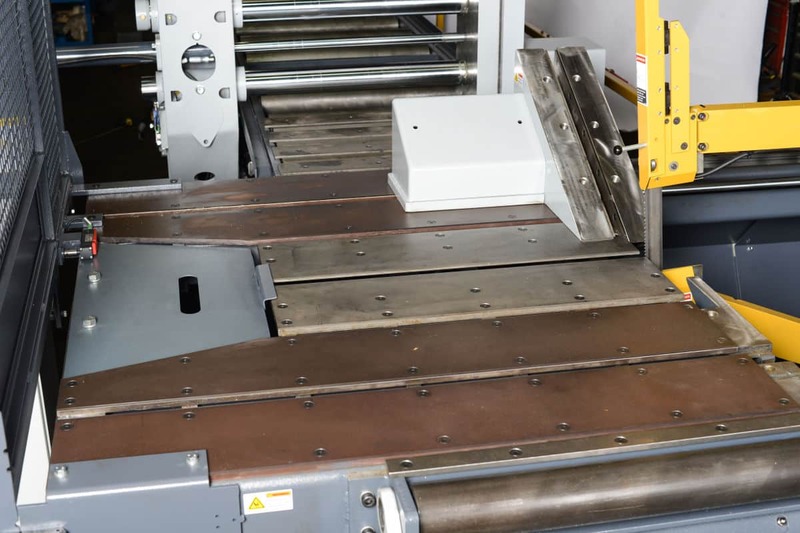 A machine sawing chart provides proper blade speed, tooth pitch, feed rate and feed force recommendations. 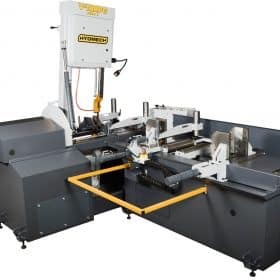 The saw head control includes a fast approach control feature for quick set ups. 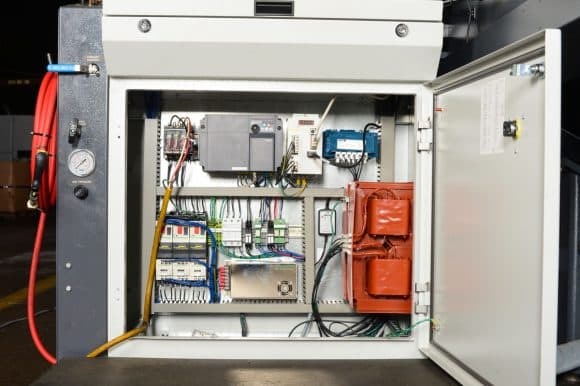 Its PLC control features storage of up to 1000 jobs with the ability to run 20 in queue. The feed rate is displayed on the PLC in linear inches per minute during the sawing operation via rotary encoder. The operator manual switches and PLC control are conveniently located on a console in the front of the machine. 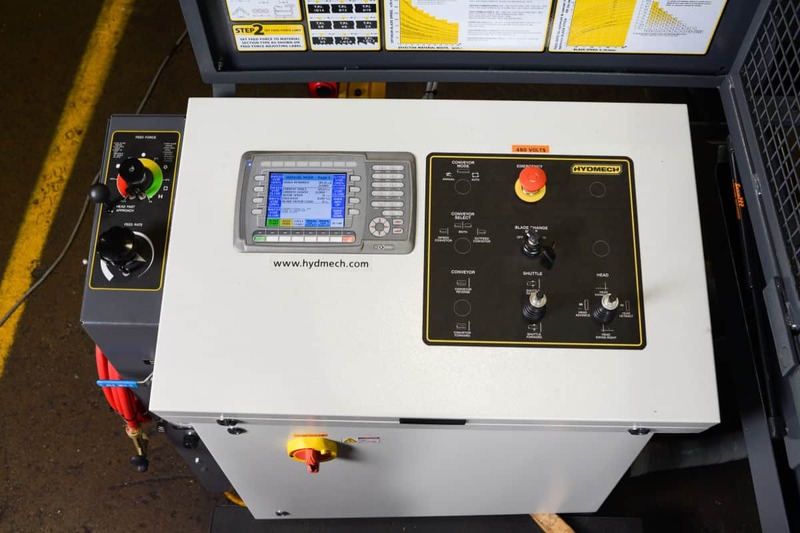 Components and wiring are neatly laid out and labeled for easy troubleshooting. Some unique features of the PLC100 control are blade chamber, which separates the cut part to allow for more back clearance (excellent for carbide blades); adjustable power down timer; coolant saver; trim cut on or off; automatic blade kerf compensation.